Sorry, I thought I read in a post about MTB 245 that you were Richard (who I know) - but perhaps you just copied a message from him! 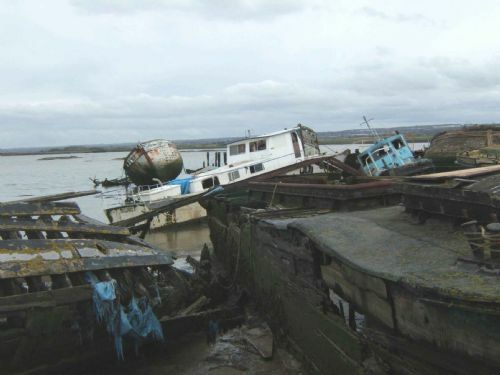 Just picked up on this and see the very sad photo...aware as before, owner was wanting to sell of bits/hull etc...recall visiting when a houseboat few years ago, owner having plans for a C/F craft that was for the far east but was never needed...yes, hope Steve something left that might be re-cycled for 219...if you have contact with the Childs, send my best if you wish....lets be a bit cheery, with the Childs, Rob Morley and CMB9 and MTB102, HSL 102, Medusa...we still have great examples and testaments to the men and women of CF...all the best. Thank you for the updates everyone. It doesn't look like this is one I can include on my survivors list... Shame. I don't have any contact with the Childs unfortunately (I don't know them). I would certainly try to support them if I could, but an email I sent to the address on their page has not been answered yet. PS. ASR1255 is a different Steve!